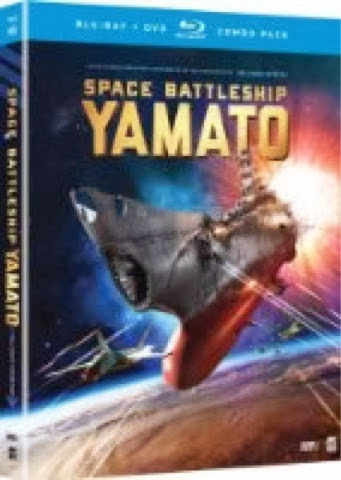 GenreOnline.net: Space Battleship Yamato finally arrives officially in the US on April 29, 2014! Space Battleship Yamato finally arrives officially in the US on April 29, 2014! I love Space Battleship Yamato AKA Starblazers and have been waiting for the 2010 Japanese live action feature film to make an official American debut for years. It has been available as a Japanese import, but pricey compared to domestic films. Now Funimation will be distributing the hit film with an English dubbed soundtrack. I have no other information about the title other than a street date of April 29, 2014. I hope the original Japanese Language Soundtrack will be included too. The film beautifully captured the epic animated space opera and covers key events from it too.